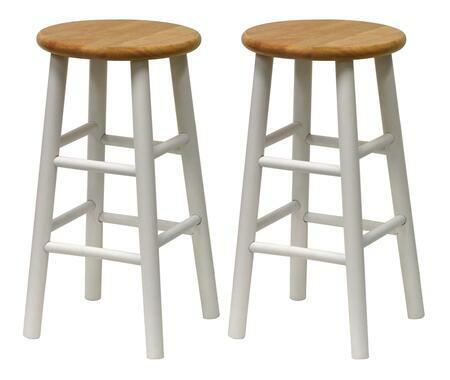 Set of 2 solid wood 24" bar stools with white frame and natural color beveled seat countoured for comfort. The rounded legs are sturdy and the seat has a diameter of 13". The stool is able to hold up to 220lbs ships fully assembled. 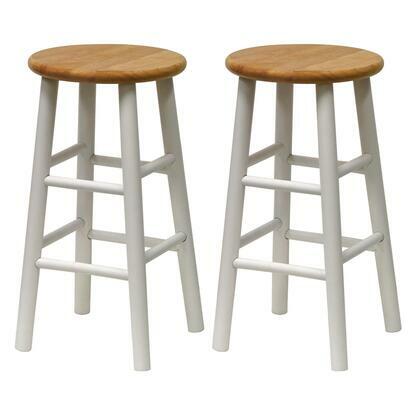 Each stool stands at 12.8"W x 12.8"D x 24.4"H. Seat dimension is 13" round. Max 220 lbs. Made from solid wood in clear wood seat and white accent back/base. Ships fully assembled.